A Warm Welcome from Rebecca! As did most of you, Vanessa has been asking me to introduce myself to the group for the past couple weeks and I have been looking to find the time to sit down and actually do it, so here I am. I first want to say that I’m excited to be a part of the post-PBR online group as I really enjoyed the course and found it to be extremely helpful in developing my interests and hopefully a project. I just moved to Madrid, Spain in September which has not left me with a lot spare time or energy as life has been filled by getting settled in and working out all the details. I’m originally from the United States and I just graduated from Smith College in Massachusetts where I studied Spanish and Anthropology with a focus in art. As my interests and research has developed I have specifically become interested in how art plays into politics and social change (I really enjoyed the reading from Sher Doruff’s week in the PBR course, “Aesthetics of Resistance: Artistic Research as Discipline and Conflict”!) Now as a graduate I am trying to decide how I actually want to develop my interests. Having focused primarily on the social/anthropological side of art in college I am currently interested in developing or researching within my own artistic practices (dance and music) rather than their broader affect in society. However, this direction is a new path for me as I have never really considered pursuing my artistic practices as anything more than personal enjoyment. In college my interests began with just a basic interest in art, in personal interactions and the power of learning from other people and their stories. However, over the years as I further developed upon these interests, new subgroups started to emerge and I found myself really wanting to explore areas I had previously not been as intrigued by (specifically art and politics). I realized how important understanding these subjects actually were to understanding my interests in the connections between art, culture and politics. I started noticing parallels between concepts I was learning, exploring and developing in my dance and music practices with what I was looking at in my anthropology classes. I started realizing how one could be used to better understand the other—especially for a creative-minded person like myself. I began developing much greater interest in politics and the connections between how political histories have not only come to shape countries and societies but shape also the cultures, people and social issues present in our world. And I became intrigued by the way we see these correlations paralleled between so many different cultures—cultures we may not normally compare. Finally, I became fascinated by the way the art throughout history has so often been the narrator of these unequal histories and at the forefront for fighting them. That it is often through this art that we can find a connection between different cultures and address issues otherwise un-addressable. So, I ended up in Spain—somewhat by accident—but I figured I would take advantage of my time here to explore my arts further while also maintaining my interest in culture. I’m looking for ways to continue research within my own artistic practices as well as become more ingrained in the social communities and issues Spain is facing today. I’m realizing more and more how great a country Spain might be for me while I am figuring out what “project’ is and what next step I should take. In many ways I feel like I am just the beginning of the research process skimming through material to see what types of hypothesis arise. I’m excited that PBR has continued in this online format because although I didn’t feel like I put as much into the class as I would have liked I truly enjoyed the conversations and material presented and found them inspiring and helpful. I’m excited to continue the experience! Welcome Rebecca! I’m so pleased to have you join us here! I knew you had a rich art + culture background, but I didn’t appreciate how many streams run through your thinking and activities. I do hope you’ll share your process here as you go along. Please do feel free to think of .Re/search as a Journal or Process Diary where you can pin up not just extended thoughts, but also ideas, images, and whatever bits influence your path through art and life. You seem to have so many inspiring balls in the air that I feel this almost “maternal” urge to offer some vision of them all uniting in some unified trajectory. In my own life I’ve done many things that that seemed disparate at times and then later at certain key moments I’d find this enveloping clarity where all the seemingly random tangents seemed to accrete to a larger and truly compelling whole. And then from there I generally find myself on more mysterious tangents. So there are these gratifying moments of clarity where everything integrates, but so far they are the exception more than the rule. Perhaps your many interests and life / activity / career alternatives will come together in a powerful context. And perhaps the will often be separate. Either way, or both, you’ve listed so many exciting possibilities and I’m eager to hear how this life unfolds for you, young graduate! Hello, Rebecca! Welcome. It’s great to have you here. 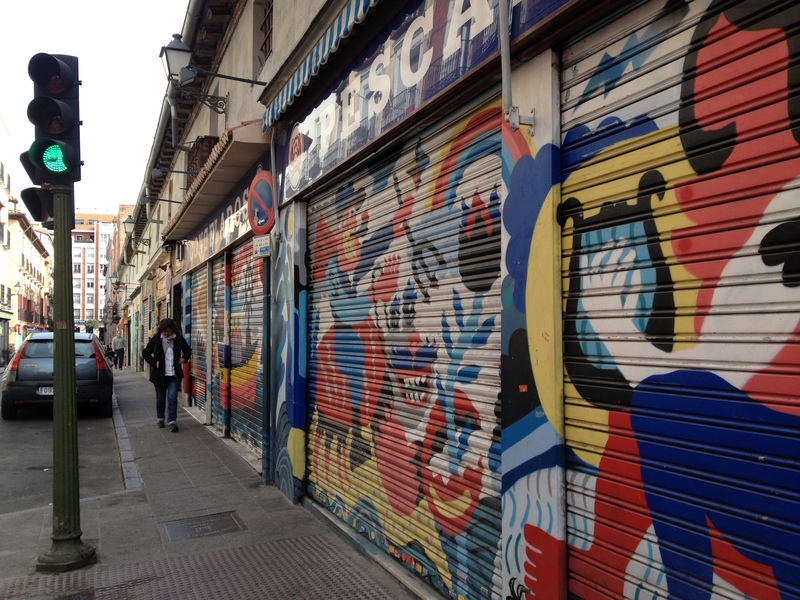 I love Spain — Madrid is one of my favorite cities in the world — so much great art there, too. I’m sure as a dancer and musician you will love being in the land of Flamenco, which, as Lorca said, is one of true expressions of the duende. Have you seen Carlos Saura’s flamenco version of Carmen? It’s one of my favorite movies ever. If you haven’t, see if you can find it soon. Thank you for your responses, it’s so fun and encouraging to hear what you had to say. 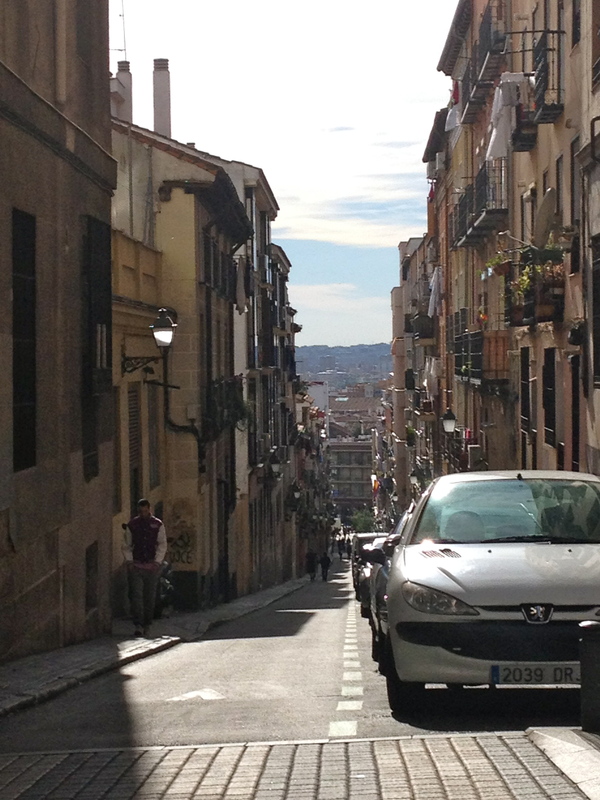 Christa: I have really enjoyed Madrid as well, as the art here is abundant and the city itself is rich with culture. I have always been a fan of flamenco and hope to explore it some more the longer I am here. I have not seen Saura’s flamenco version of Carmen, but I’ll have to make a point of seeing it soon! Venessa: thanks for your insight and words on your own life experience. I do often find myself feeling that my interests and passions are so disparate and all over the place and wonder if at times I should narrow them down or focus in on one task. But I always come back to the wide array of passions that are part of my life as one things always leads me back to another and I so often find my curiosities and questions circling around them all. I’m excited for this group “online journal” to see what others are working on and use it as my own space to process and share! When I was probably your age, people would tell me to narrow down my interests — choose one thing and focus on it. I think there is MUCH wisdom in that recommendation. On the other hand, my model was Sam Shepard — actor, musician, writer. If he could do all those things, then I could, too. And in some ways, I have, almost exactly (although, clearly, I’m not as famous as he is). He, too, has a family (with Jessica Lange, the actress), and at some point those children were young. Right now, I have young children (7 and 8), and this makes it really hard to do all these things (write, perform, make music, and — teach, my paying job). Nevertheless, I keep doing all these things, sometimes to the detriment of my work, sometimes to the detriment of my family, sometimes to the detriment of my sanity.